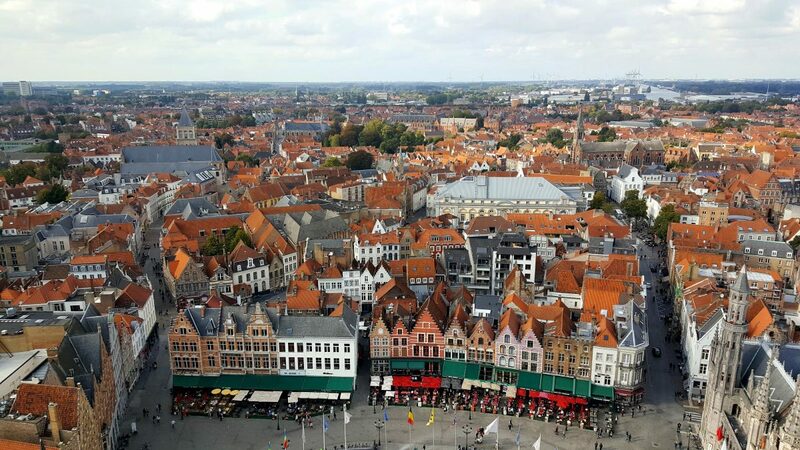 Bruges is beautiful! It’s one of those picture-perfect European cities that you simply cannot miss. This was my second trip to Bruges, although I’m not sure if the first one really counts. 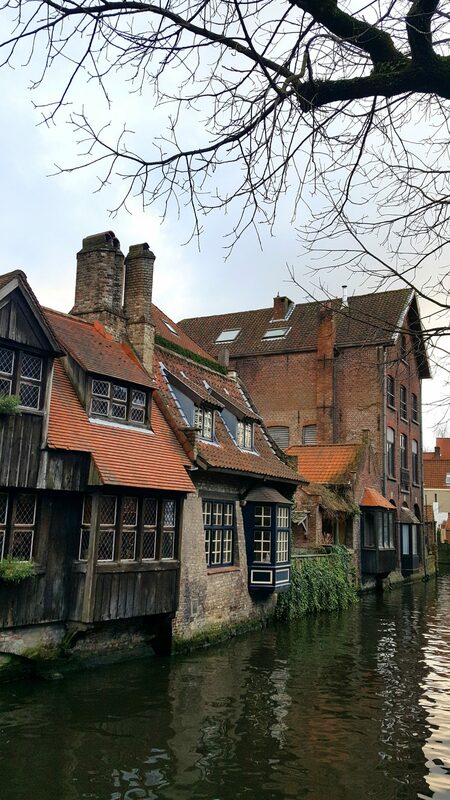 I travelled to Bruges at the end of last year to check out the Christmas markets. It was only a day trip and I spent more time on the bus than I did in Bruges. I vowed to return and spend more than 5 hours in the city! Anyway, fast forward 10 months later, and I’m back. 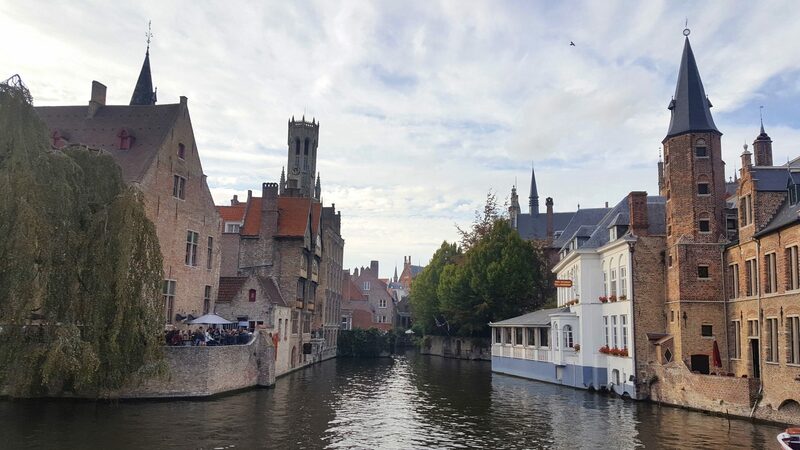 Below I share my favourite photos of my trip to Bruges. I hope you enjoy them. 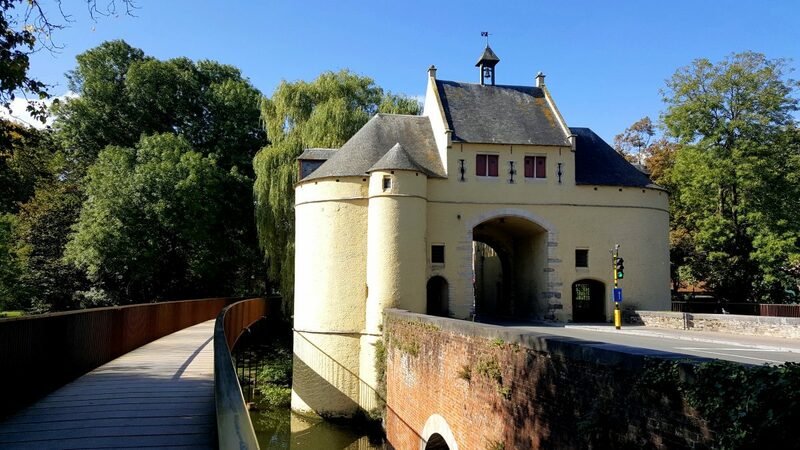 On my way to my accommodation, I had to cross this bridge right next to a sturdy city gate. Not a bad view, if I say so myself. 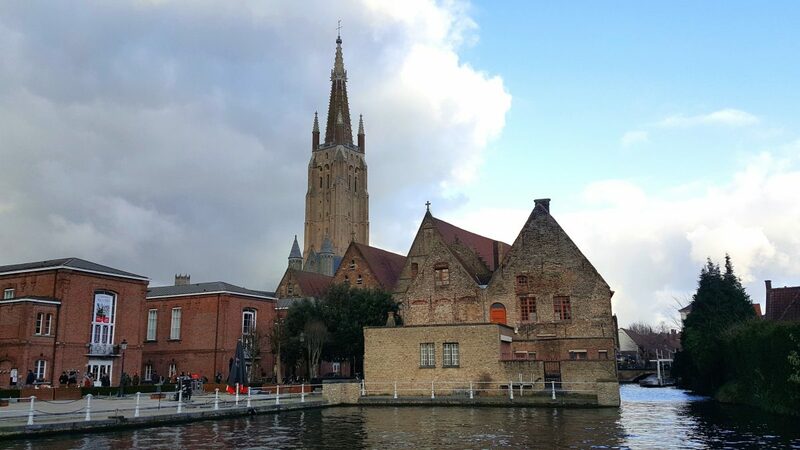 I travelled from Amsterdam to Bruges by bus. The bus dropped me off next to the main train station. From there I had to walk 3 km to reach my hostel. 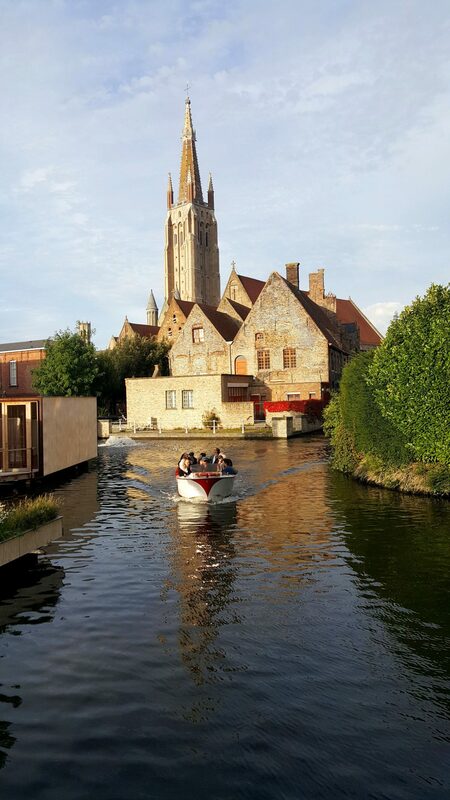 But I didn’t mind the walk at all because, as I mentioned above, Bruges is beautiful! Instead of going through the city centre, I opted to walk along the river and through the parks. 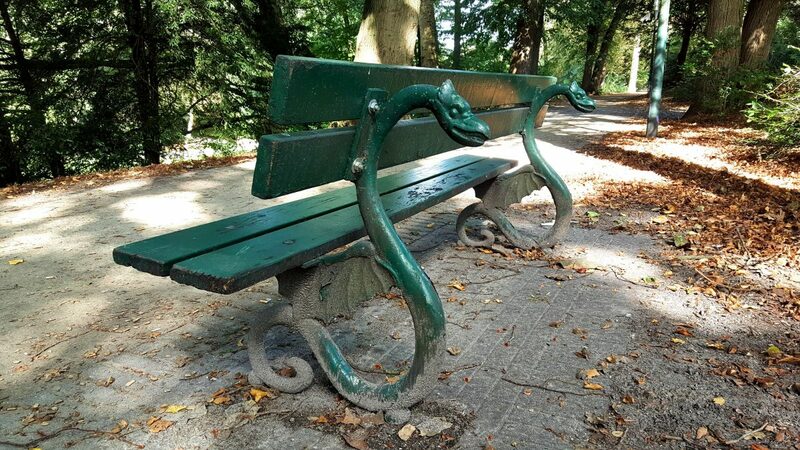 This is how a bench should look like! After checking into at my hostel, I grabbed my backpack and camera and headed straight into town. I didn’t have a set plan, I just wanted to walk around and takes photos. 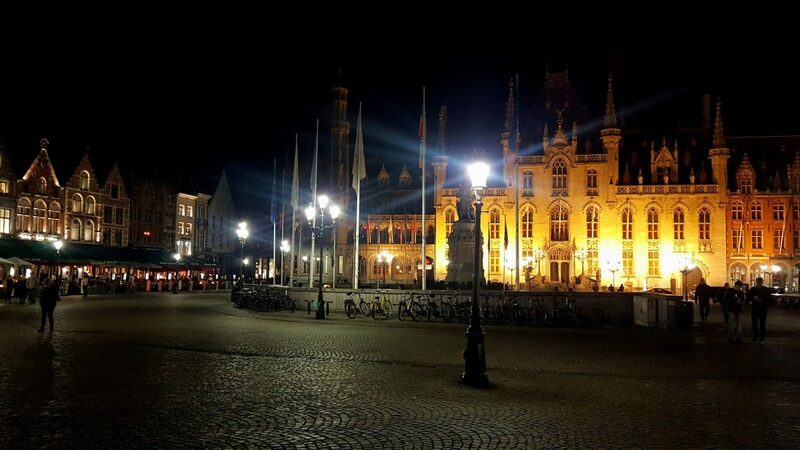 Btw, taking a bad photo in Bruges is nearly impossible! There’s a postcard-perfect shot around every corner. 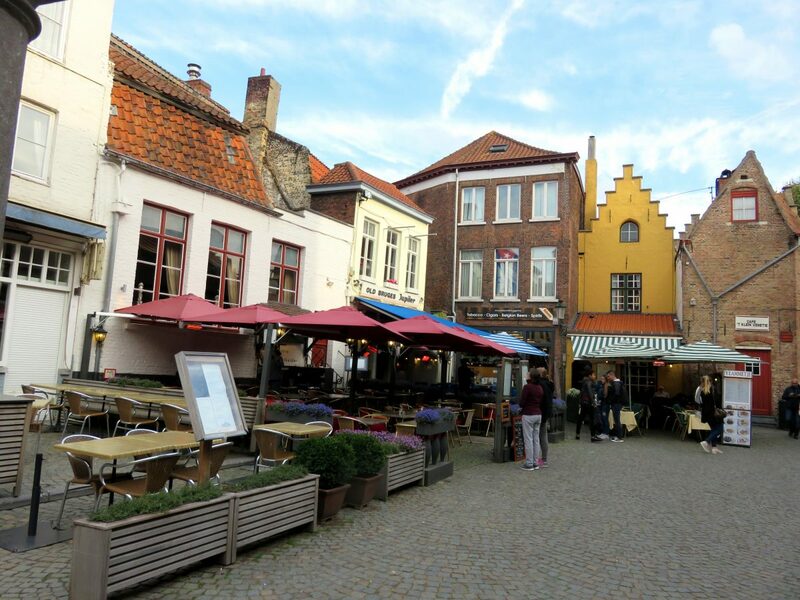 One of many charming little squares you’ll find in Bruges. 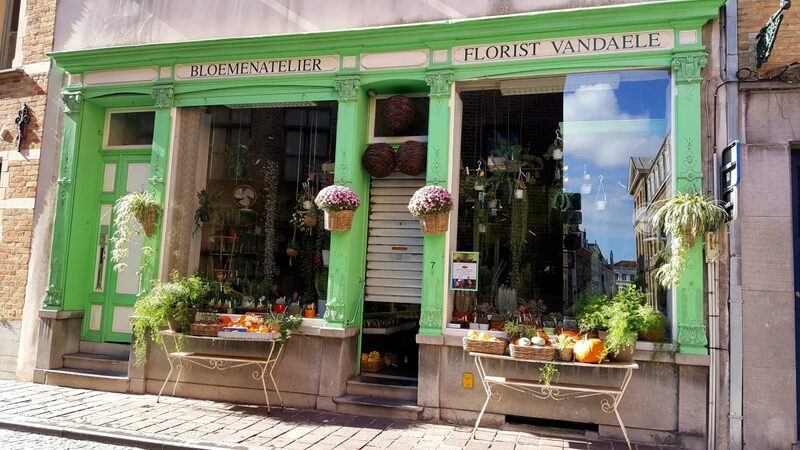 A cute little flower shop I stumbled upon. I love the architecture and the colours of the buildings! I’m such a sucker for Gothic architecture. 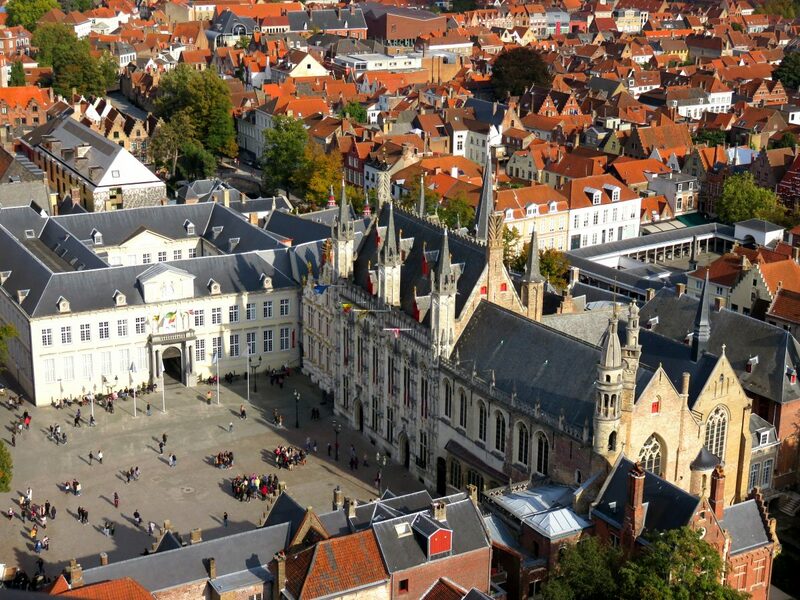 This is the town hall, built in the Flemish Gothic style, located on Burg Square. St. James’s Church. I frequently passed by this church as it was en route from my hostel to the market square. 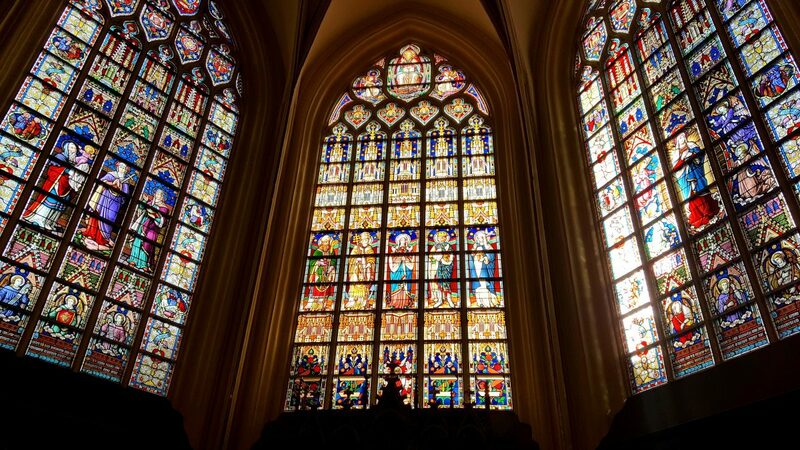 The beautiful stained glass windows of St. Saviours Cathedral. Be sure to go and check them out! It’s completely free to enter the cathedral. 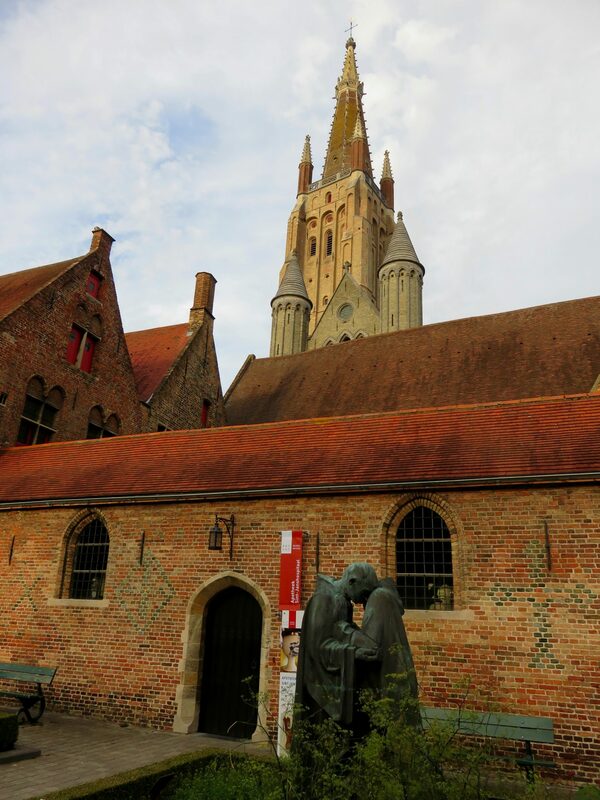 Without a doubt, Saint John’s Hospital is one of the most scenic spots in Bruges. I didn’t do a canal tour on this trip. 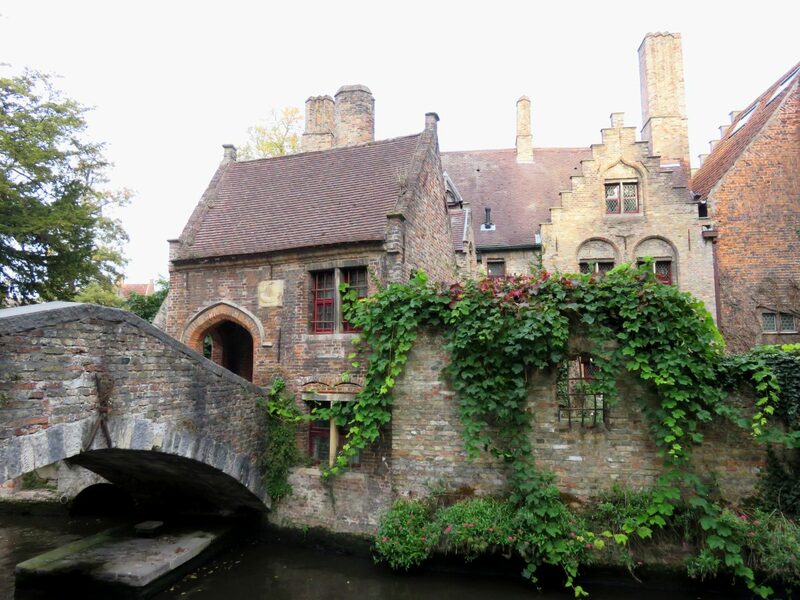 But it’s definitely something I would consider doing when I travel to Bruges again. Another photo of Saint John’s Hospital, because it’s just so beautiful. One of the most scenic spots in the city, Bonifacius Bridge, located just behind Church of Our Lady. The canal that flows underneath the Bonifacius Bridge. It’s as if these two swans were posing just for me. 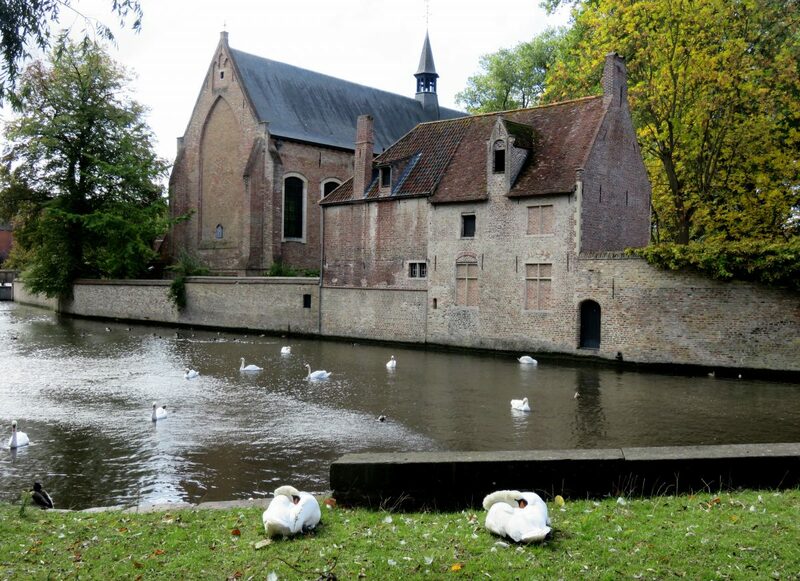 Swans are highly revered in Bruges. Why? It’s a very cool story that I’ll let you read up for yourself. They were supposed to be a punishment…that’s all I’m gonna say. 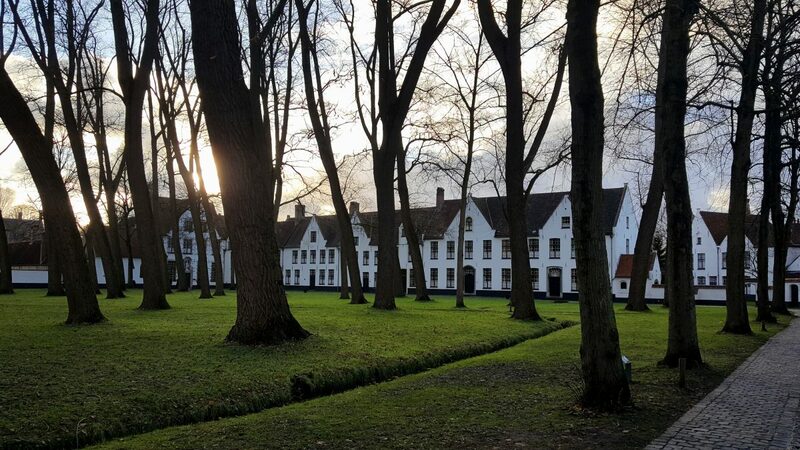 One of my favourite spots in Bruges, Beguinage. I don’t know what it is, but there’s something about these houses and trees that reminds me of Cape Town. 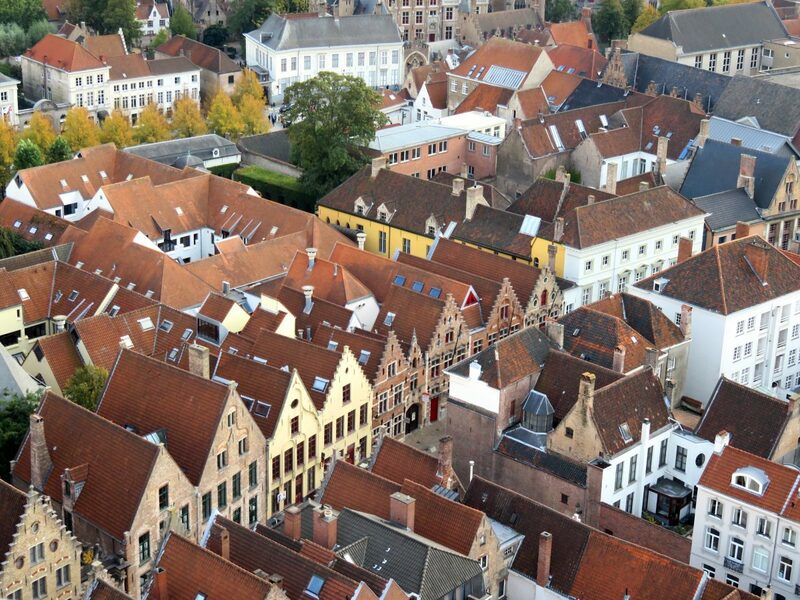 When in Bruges, the Belfry is difficult to miss, especially if you are standing on the main square. 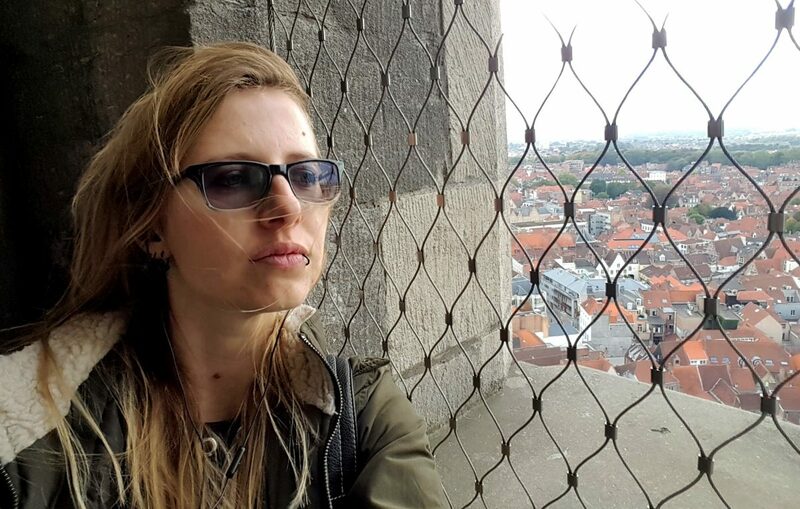 To climb this tower was on my Bruges bucket list, and of course, I wanted to tick that box. I had to queue for about 30 minutes, pay a fee of €12 and climb 366 steps up a narrow staircase to reach the top. Was it worth it? Mmm…for me, the view was just okay. It was a little bit obstructed and crowded (even though the number of people at the top is strictly regulated). I mean, climb the tower and make up your own mind about the view. But I left feeling a little bit disappointed. 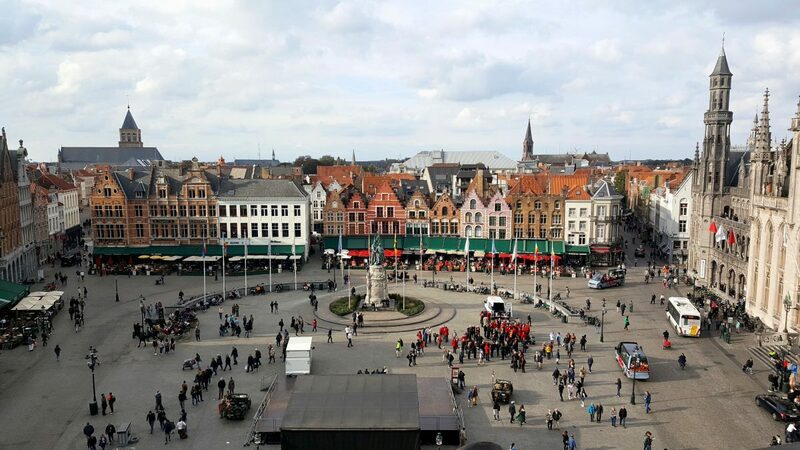 Don’t miss this view of the market square on your way up. In my opinion, this is a better view than the one at the top of the tower. 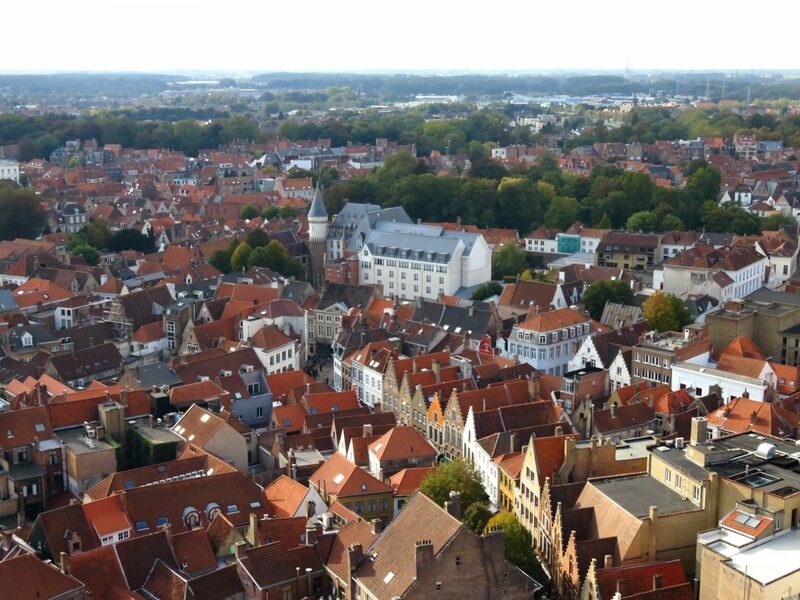 A view of Burg Square from the top of the Belfry. 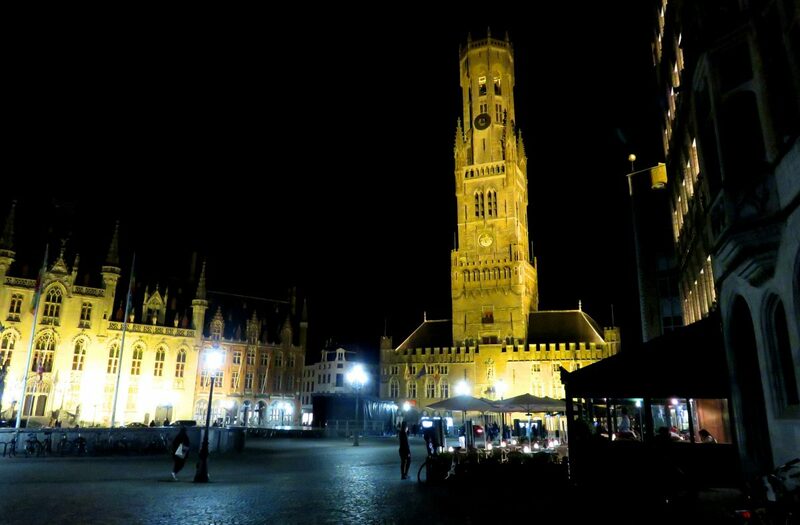 On the square, you’ll find the city hall and the Basilica of the Holy Blood. 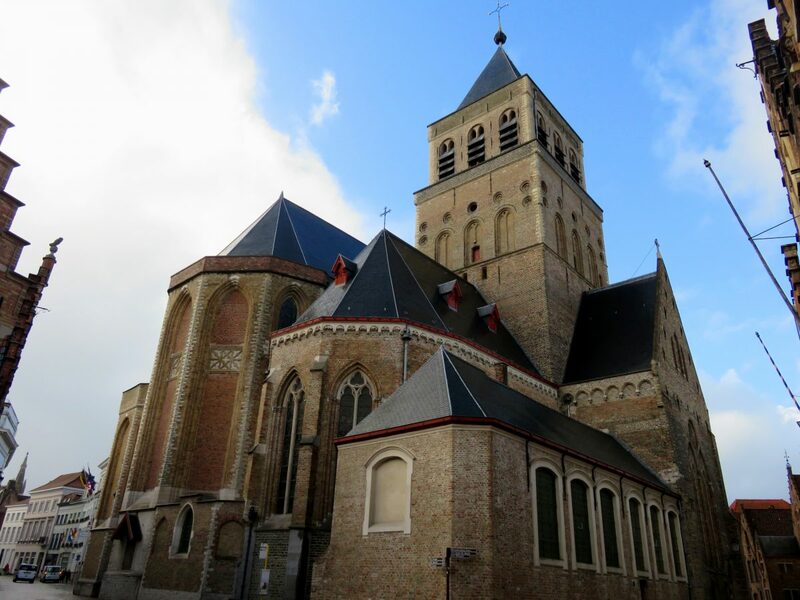 The tallest tower in Bruges, the tower of the Church of our Lady. 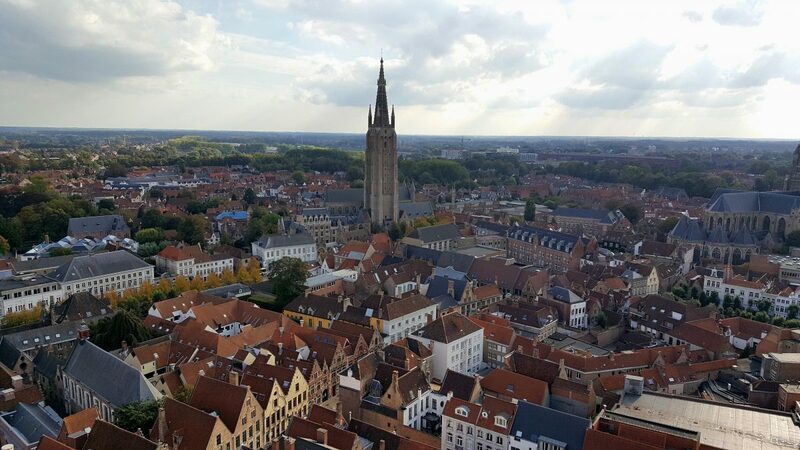 The tower stands at 115.5 m while the Belfry is only 83 m.
Look at all the buildings. Don’t you think they look like legos from above? The market square from the top of the Belfry. Okay, maybe this view is better than the one halfway up…what do you think? As with most towers, the Belfry is also windy at the top. This is me trying to take a selfie while the wind blows my hair up my nose. Chocolate. Waffles. More chocolate. I might as well have died and gone to heaven. No, but seriously, I love the sweets in Bruges. You’ll find all the fantastic Belgium chocolatier shops here including Pierre Marcolini, Neuhaus, and Godiva. My personal favourite is Godiva. They make this Blond Chocolate Salted Carmel chocolate bar that is just to die for! It’s my favourite chocolate in the world. As for waffles, you can find them everywhere in the city. A plain waffle without any toppings will cost you around €2.50. The savoury food isn’t half bad either. In fact, it’s damn good! I mean, you can never go wrong with fries and mayo, right? 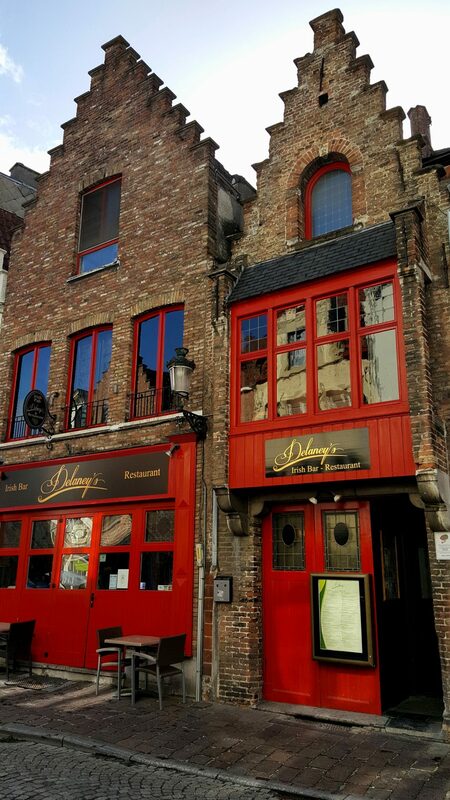 I’ve also found that Bruges, and Belgium in general, has a lot of options for vegetarians. 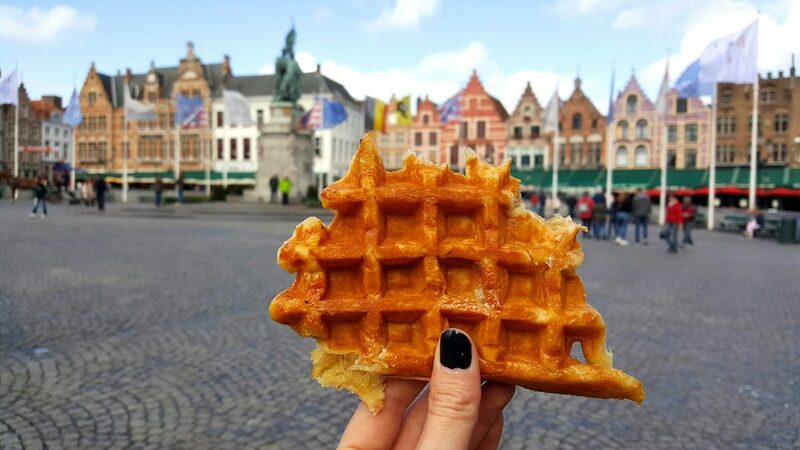 A trip to Bruges (or Belgium for that matter) simply wouldn’t be complete without devouring a delicious Belgium waffle. Who’s with me? 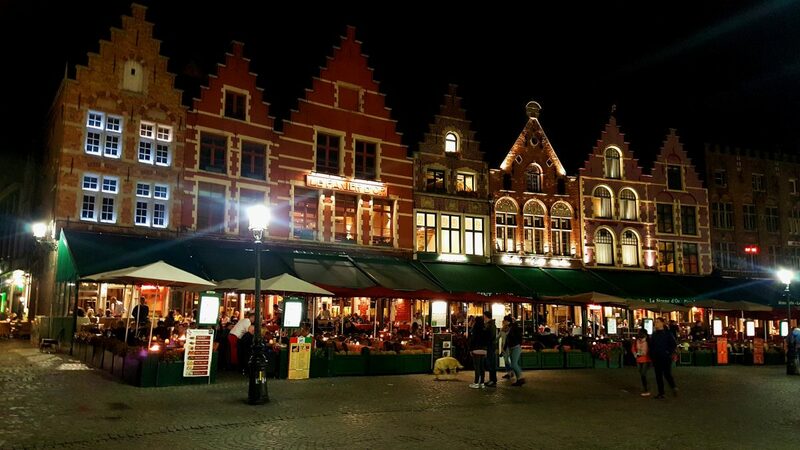 Bruges is one of those cities that is even more picturesque at night. I loved walking around and looking at all the buildings. 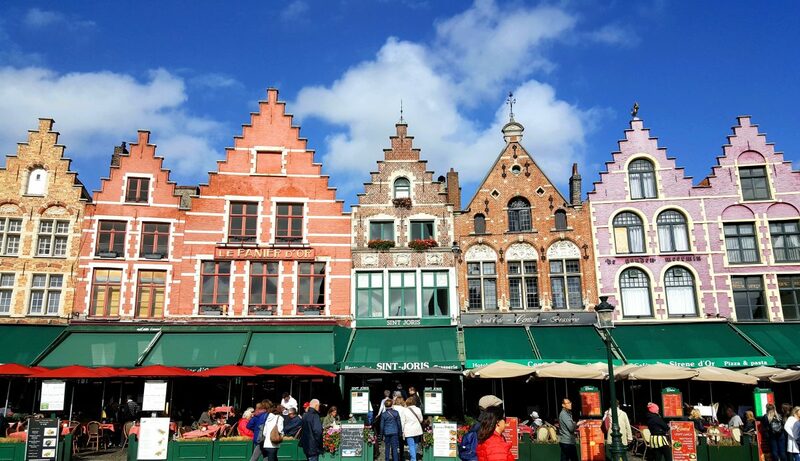 An obvious yet must-see choice is the market square. All the buildings that line the square are lit up. It creates a beautiful and, yes, romantic atmosphere. But you can still enjoy it even if you’re traveling solo. Those colourful buildings on the market square. At night, it’s a little bit more tricky to see all the colours. But the lights in the windows make up for it. 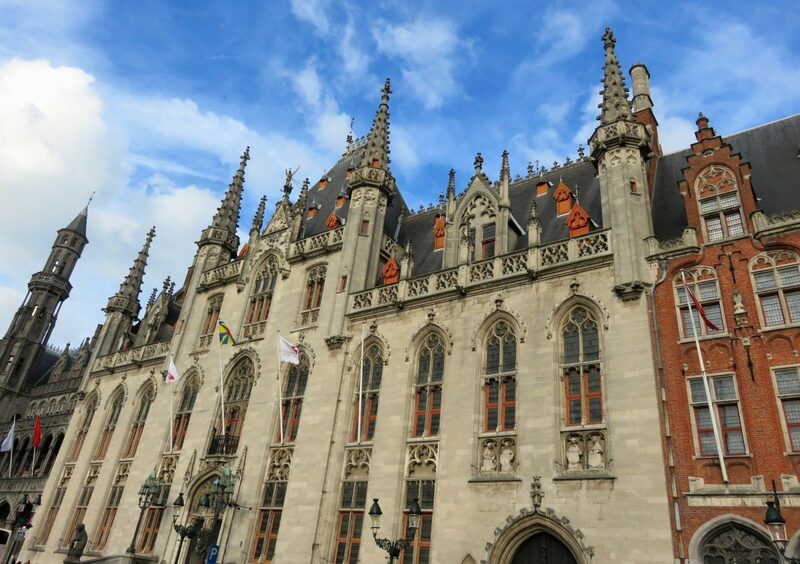 The Provencial Court Building of Bruges, also located on the market square. The Belfry lit up at night. It’s also a very helpful beacon if you get lost in the maze of streets. 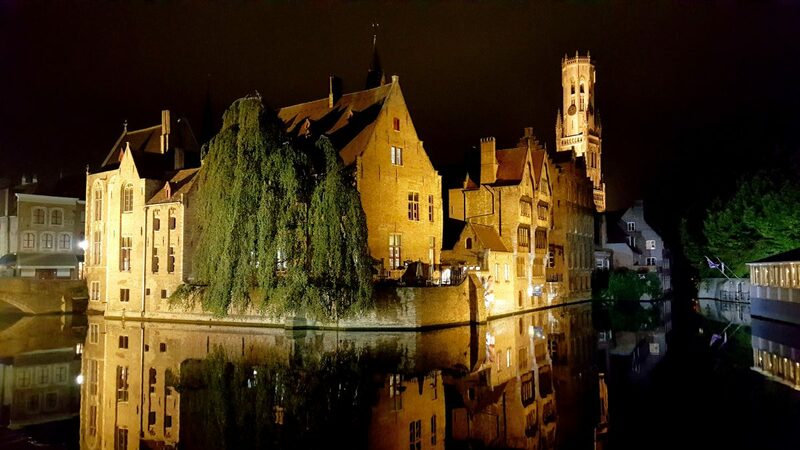 In my opinion, this is the most beautiful spot in Bruges at night. Don’t forget to check out Rozenhoedkaai.